From 2000 to 2006 (plus one concert in 2008), I sang with the San Francisco Symphony Chorus, a world-class organization that gave me the chance to have some truly unique musical experiences. Since it was such a big part of my life, I chronicled my experiences with the chorus here in scrapbook form. I also think that this page would give others an idea of what it's like to sing with such a group. The Chorus is made up of approximately 30 paid singers who form the core of the group, and 120 or so volunteer singers. For each concert, the conductor decides how big he wants the chorus to be, and selects an appropriate number of the interested volunteers to participate. I was generally fortunate enough to be selected to perform in all of the concerts, which kept me pretty busy. When preparing for a concert, the chorus typically has 3-8 rehearsals with our chorus conductor, Vance George, where we learn the notes, the rhythms and start to get a feel for what we need to do as a chorus to make the musical ideas come out. This is typically followed by a rehearsal with the maestro (either Michael Tilson Thomas or a guest conductor) and orchestra, and then a dress rehearsal including the soloists, if any. Finally, there is the concert series; where the concert is generally performed three to five times. In a busy season like 2000-2001, when we had ten programs to perform, it means an incredible amount of work. That year, we met 2-3 times a week (more during concert weeks) from the last week of August to midway through the following July. I later found out I'd been there 130 times (rehearsals and performances) in that 11 month span. Since each rehearsal is three hours long, it became obvious why chorus seemed to be my life that year. But we got to do so many amazing things that year (Carnegie Hall, premiering a John Adams piece, Sweeney Todd) that it was totally worth it. A more typical season doesn't require nearly as much commitment, though - more like 1-2 rehearsals a week. And since the chorister can choose which concerts to audition for, you can choose your level of commitment. I have rarely been able to resist signing up for the full slate, though. Read on through the site for more specific thoughts on various concerts I've participated in or experiences I have had with the chorus. April 2001 - The chorus released its second solo album, Voices 1900/2000 - a choral journey through the twentieth century, recorded last spring. It is the first album that I have recorded with the chorus, and so I'm pretty psyched. I was only on half the tracks for this one (the rest were a chamber choir of a select group of choristers), but it's still an honor. It's received good reviews from the San Francisco Chronicle and the Contra Costa Times (you'll have to scroll down past the Dawn Upshaw review in both cases). June 2002 - A DVD version of Sweeney Todd has been released. 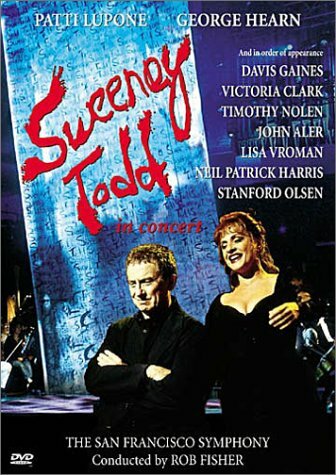 (Sept. 2002) This production of Sweeney Todd, broadcast nationally on PBS on Halloween 2001, was awarded an Emmy in the Outstanding Classical Music-Dance Program category. Very cool stuff. December 2002 - The December program notes at the Symphony featured an in-depth article on the Chorus and its members as part of our 30th anniversary. Richard Reynolds, the author, interviewed several of the chorus members, including myself, and tied it together into a nice piece on what it is like to be part of the chorus. He even mentions this web page! Check it out! (reprinted with permission of the San Francisco Symphony). 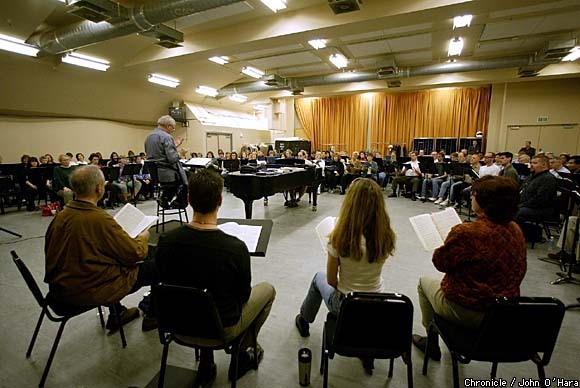 March 2003 - The San Francisco Chronicle wrote a nice little feature article on the chorus, as well as an accompanying article on Vance George, our conductor, in honor of the 30th anniversary of the Chorus. 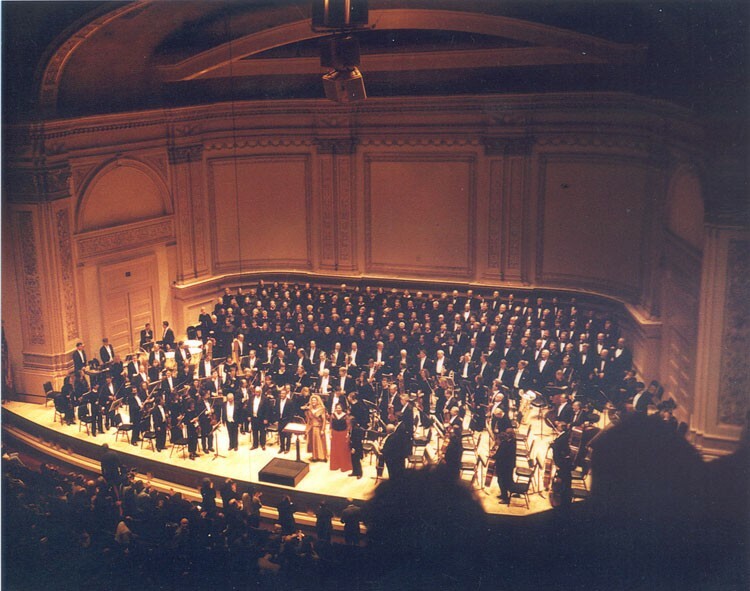 November 2004 - The San Francisco Symphony released its recording of Mahler Symphony No. 2, recorded in June of 2004 with the chorus. It's pretty phenomenal. I might be slightly biased, of course. Here are some more links, describing various experiences I have had with the chorus in roughly chronological order.